With the continuous advancement of social science and technology, the continuous invention and development of various equipment machinery have brought great convenience to people’s lives. Meat is an indispensable ingredient in people’s lives. 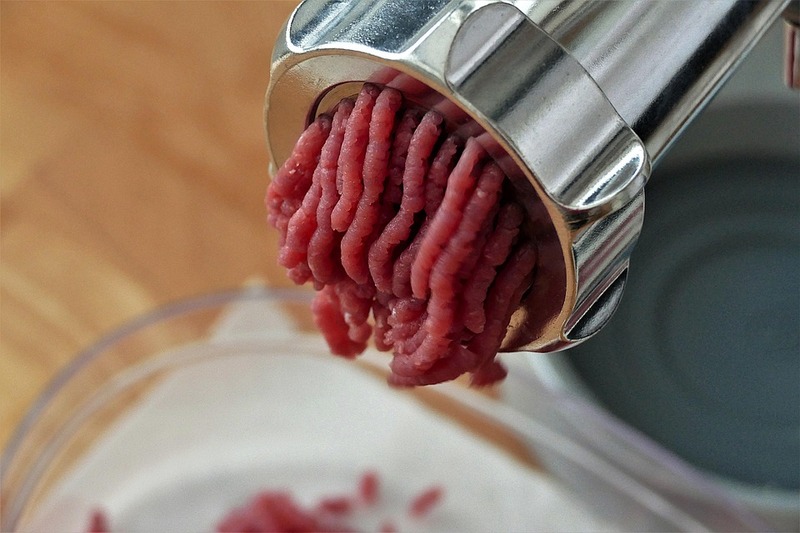 Meat grinders are also meat processing. The necessary equipment of the factory, its use, and maintenance are also very important, let’s share with you how to use it. (1) Disassembly method of the machine: first unscrew the nut, remove the round knife and the cross knife in turn, and then take out the auger. (2) Wash the meat grinder with water and detergent first. The machine may be smashed with some radishes before being cleaned. Second, the machine is cleaned and dried, the body is clamped on the edge of the table (the maximum thickness of the table does not exceed 3.5cm), and the fixing screws at the bottom of the fuselage are tightened, so that the machine can clamp the table and fix it firmly. 3. Install the auger, cross knife, round knife and nut in order; (Note: Align the notched part of the round knife with the protruding part of the fuselage to install the nut normally. Do not tighten the nut too. Tight, a little looser, you can turn the handle normally.) Finally, attach the handle. Fourth, the meat will be better after the frozen in the refrigerator, before removing the meat, remove the skin, meat and bones, and then cut into strips (about 2cm wide), pay attention to the meat can not be cut too much, so it is not convenient to enter the meat, add the meat from the feed port, then turn the handle clockwise to start the meat. Proper maintenance and maintenance methods not only ensure the normal use of the machine but also extend the life of the machine. The same is true for the meat grinder. 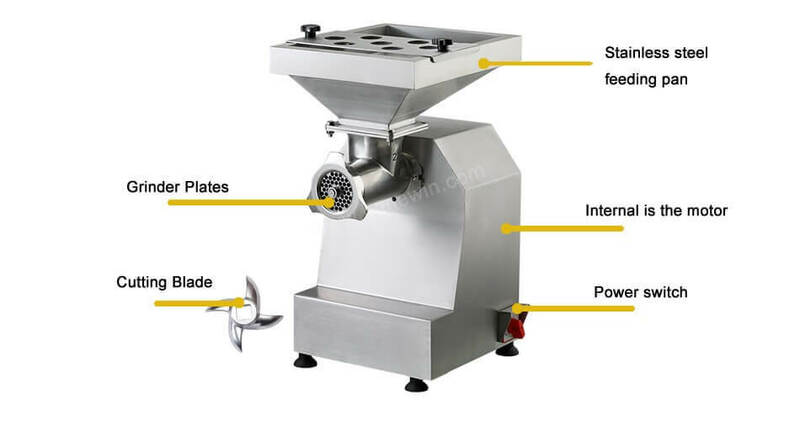 It is hoped that the users of the meat grinder can operate according to the above maintenance and maintenance methods in daily use.